This block of instruction will serve to satisfy, in part or whole, requirements concerning continuing education posted in NFPA 1033 Section 1.3.7. The components of an electrical service, circuitry, modes of failure, and arc mapping. Identify common electrical failure mechanisms. Describe common electrical systems and components found in a home. Examine a fire of potential electrical origin. 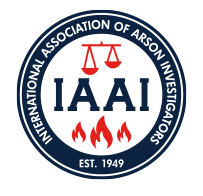 Program topics include: Safety, Electrical Safety, NFPA Chapter 9 (Electricity & Fire), Basic Electricity, Building Electrical Systems, Electrical Heating (five forms), Electrical Failure, Arcing, and Electrical Fire Investigation.